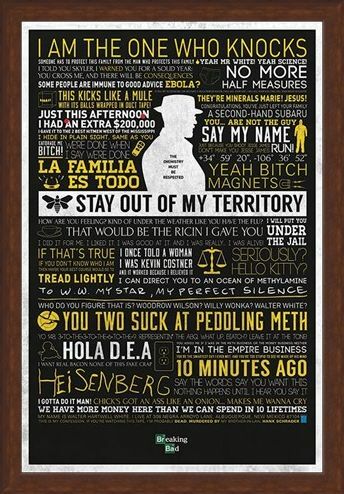 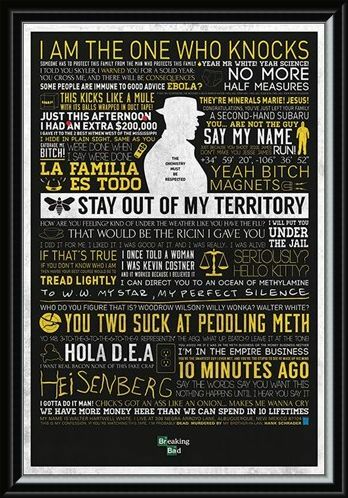 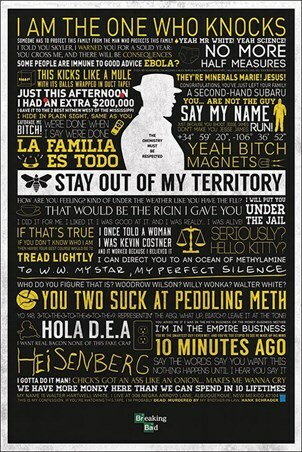 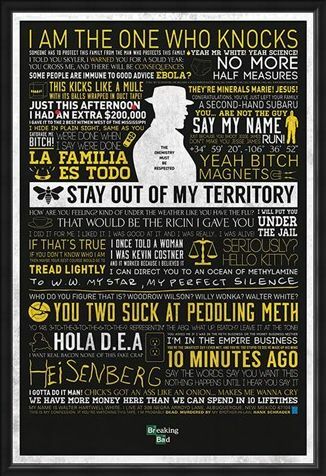 TV Maxi Poster: Immerse yourself in the world of Breaking Bad's Walter White with this collection of his stand out quotes throughout the show. Complimented by symbols and mementos they track the progression of Walter's decent and key moments with other characters. 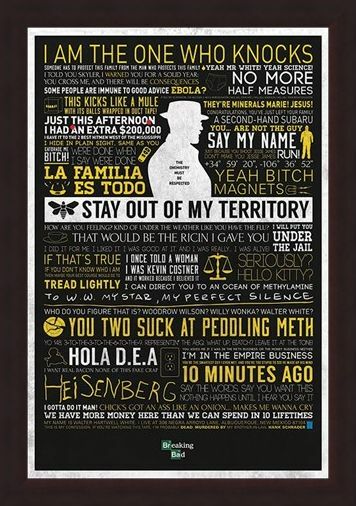 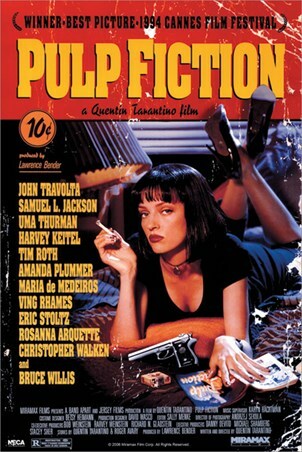 Featured quotes include "I am the one who knocks", "Say my name", and "If that's true, if you don't know who I am, then maybe your best course would be to tread lightly". If you are a fan of Breaking Bad the this is the perfect poster for you, it captures the story, the characters and the essence of what made it such a great show. High quality, framed The Many Sayings Of Walter White, Breaking Bad poster with a bespoke frame by our custom framing service.